The best way to get to know a community is by scheduling a tour. See the facilities, meet the staff and residents, and get a feel first hand what it's like to live at Conner Place Assisted Living. Located in a quiet neighborhood off of Interstate 80, Connor Place is just minutes away from Amarillo, Texas and state-of-the-art medical facilities. Our community provides quality assisted living care in an environment that encourages senior independence, offering a warm, comfortable atmosphere that any individual would enjoy. Enlivant is proud to be involved in the management of Connor Place. Teamwork, compassion, excellence and success are the four cornerstone principles that guide the staff and executives at Enlivant. Conner Place boasts beautiful public, as well as private, meeting areas, computer areas, activity rooms and craft areas for socializing. We understand that each individual is unique and has different care needs. Activities are set up to cater to a variety of interests and ability levels. Accommodations are available in studio and one-bedroom apartments with either private or companion occupancy. Apartments are fashionably decorated with window treatments, kitchenettes, and views onto outdoor yards and green areas. 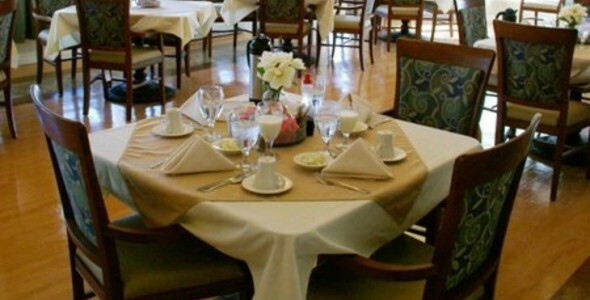 Daily meals are served in our restaurant-style dining area. Guests are allowed to go and come as they please with the help of our scheduled transportation service. Residents also enjoy weekly housekeeping and laundry services, trash removal and maintenance services when needed. Connor Place offers seniors both the independence they crave and the assistance they need with routine activities such as bathing, dressing and cleaning. Families enjoy the peace of mind of knowing that loved ones retain their own independence in combination with services and assistance they require. At Connor Place, we take pride in caring for our residents and make it our goal to ensure that all seniors feel comfortable and safe.